Waterloo, IA (Mar. 30, 2017) — Integrity Insurance, a property and casualty carrier, is proud to announce Elliott-Hartman Agency earned a spot in the 2017 Leadership Circle, which honors the top-tier of agencies for their work in 2016. 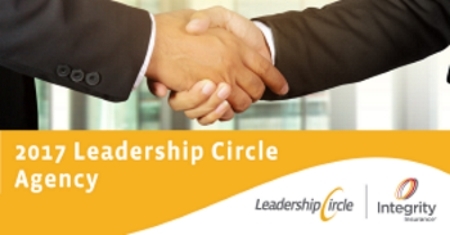 To achieve Leadership Circle status, Elliott-Hartman Agency met specific criteria based on premium, profitability and growth. Elliott-Hartman Agency is located at 611 Ansborough Avenue. For more information on their services, visit www.elliotthartman.com. At Elliott-Harman Agency, we’re an independent agency with a highly trained staff – working to provide you the quality service you deserve. Our doors opened in Waterloo in 1959 and we have since expanded our services providing home, auto, business and truck insurance to Waterloo, Iowa and surrounding states. We specialize in property and casualty insurance for businesses and individuals.